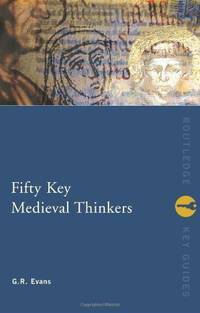 Focussing on individuals whose ideas shaped intellectual life between 400 and 1500, Fifty Key Medieval Thinkers is an accessible introduction to those religious, philosophical and political concepts central to the medieval worldview. 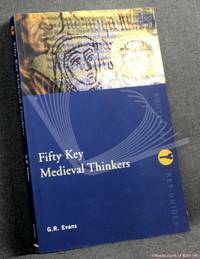 Including such diverse figures as Bede and Wyclif, each entry presents a biographical outline, a list of works and a summary of their main theories, alongside suggestions for further reading. 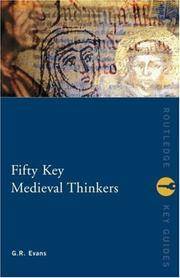 Chronologically arranged, and with an introductory essay which presents important themes in context, this volume is an invaluable reference tool for all students of Medieval Europe. GB: Routledge, 2002. Book is in very good plus condition with very minor signs of wear and/or age.. 1st Edition. Paperback. VG+. Routledge, 2002-03-24. Paperback. Good. Light shelf wear. Limited highlighting and marginal marks. Routledge. Used - Very Good. Very Good condition. Routledge. PAPERBACK. 0415236630 . Very Good. London: Routledge, 2002. paperback,183 pages,fine.Shelf 267. First Edition. Paperback. Fine/No Jacket. 8vo - over 7¾" - 9¾" tall. Routledge, 2002. 1st Edition . Soft cover. Very Good. Slight rubbing to edges otherwise in very good condition. Next day dispatch by Royal Mail in sturdy, recyclable packaging. 1000's of satisfied customers! Please contact us with any enquiries. Routledge. PAPERBACK. 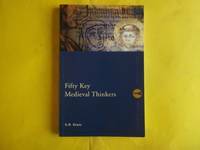 0415236630 Brand New, printed in english , Ready to ship, fast delivery (6-8 busienss days ) worldwide . New. Routledge, 2002-03-24. 1. Paperback. Used:Good. Routledge. PAPERBACK. 0415236630 New Condition. . New. Routledge. PAPERBACK. 0415236630 Like New Condition. . Fine. 2002-03-02. Good. Ships with Tracking Number! INTERNATIONAL WORLDWIDE Shipping available. May not contain Access Codes or Supplements. May be ex-library. Shipping & Handling by region. Buy with confidence, excellent customer service! Routledge. PAPERBACK. 0415236630 Special order direct from the distributor . New.